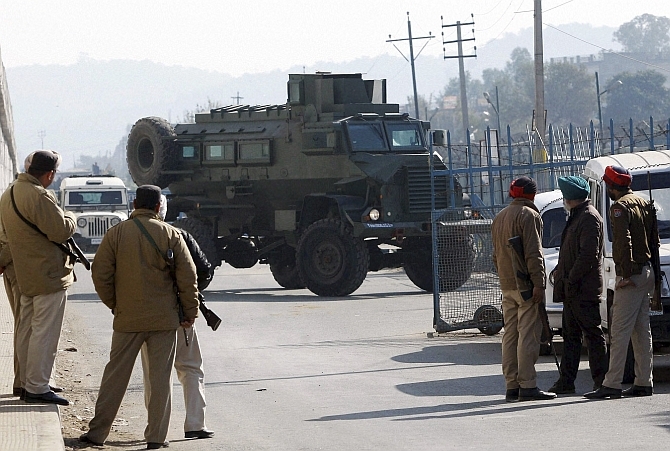 The big terror attack in Pathankot threatens to derail a renewed India-Pakistan peace process. For now, the government and the ruling Bharatiya Janata Party are saying that the talks will go on. But it is possible that they may not be able to work against public opinion for long. Here are five reasons why India must continue the process of talks announced after Bangkok, and reaffirmed by prime minister Narendra Modi in his meeting with his Pakistani counterpart in Raiwind. If there were no terror strikes emanating from Pakistan, why would India need to talk to Pakistan anyway? India must confront Pakistan with evidence of the use of its soil, perhaps even the support of its state institutions, in terror attacks on India. Sit on the table, and ask them, what about this? How can we normalise relations when you do this? To call off talks would be to walk away just when you need to confront, talk, engage, and seek answers. Pakistan won’t talk terrorism until India talks Kashmir, and that is why we had a “composite dialogue” process, whose name the Modi government has changed to “comprehensive dialogue.” Since Kashmir has a Line of Control that’s often on fire, and a source of terrorist infiltration, India has a need to talk about Kashmir, too. India has no interest even in gaining Pakistan-administered Jammu & Kashmir, although India talks about it when Pakistan ratchets up its protestations on Kashmir. Truth is, India is happy to convert the Line of Control into an international border. It is Pakistan that has made gaining Indian-administered Kashmir an article of faith. Pakistan’s support to terrorism comes from this desire for the Kashmir Valley, which it has not been able to gain militarily. Talking Kashmir and terrorism, along with trade and visas and everything else, can bring India long-term gains. We may never get to hear the details, but there has been much commentary in the press about the international pressure brought on India to talk to Pakistan. Washington and other world capitals want India to talk to Pakistan because not talking often only escalates tensions, on the border and between the foreign offices in New Delhi and Islamabad. They fear this not only because it has serious implications for Washington’s efforts to contain Pakistan in Afghanistan, but also because both India and Pakistan are nuclear-armed. When India is not talking to Pakistan, it comes across as the country that does not want to talk peace. Pakistan keeps saying it wants to talk to India without pre-conditions, India keeps saying what about terrorism, and Pakistan says let’s talk terrorism too. Instead of allowing itself to be seen as the one that doesn’t want to sit down and talk to resolve issues, India should sit down and talk and let Pakistan be seen as the one that is up to terror strikes to derail talks. Talking to Pakistan is an opportunity to put the spotlight on its India-centric terrorism infrastructure, not a way of forgetting terrorism. Sushant Sareen, Consultant, Pakistan Project, at the Institute for Defence Studies and Analyses, tells Prasanna D Zore/Rediff.com how terror attacks like the one at the Pathankot air base puts Indian governments in a fix when it comes to engaging Pakistan in peace talks. Were you expecting a terror attack after Prime Minister Modi's visit Lahore? I suppose this fits into a pattern. This has been happening since (then prime minister Atal Bihari) Vajpayee went to Lahore in 1999. Whenever you start the talks process or some atmospherics that comes ahead of a peace process, if you can call it that, there is always some kind of spectacular attack. 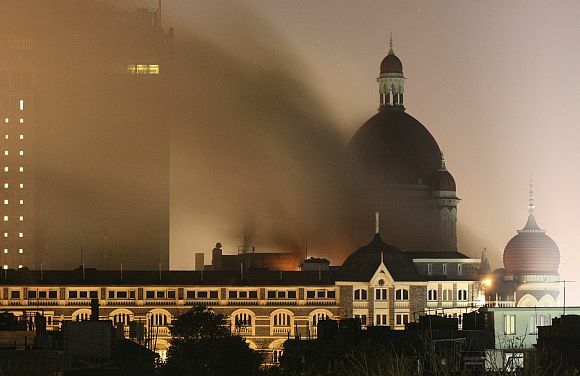 It happened in 1999; it happened in 2001, within a couple of months of Agra we had the attacks on the Srinagar assembly and then Parliament; it happened in 2006, the Mumbai train blasts, which we seem to have forgotten because ordinary people died; we seem to have remembered 2008 (the 26/11 terror attacks) because some rich people died. A couple of days before Nawaz Sharif landed here (for Modi's swearing-in) you had an attack on the Indian consulate in Herat (Afghanistan) which we seem to have forgotten. In that sense, there seems to be some kind of pattern when over time there seems to be some kind of movement (on the peace front). In the Bay of Bengal, far removed from the mainland, lie the 572 islands of Andaman and Nicobar, which form India’s southeast border. While the northernmost part of the archipelago is only 22 nautical miles away from Myanmar, the southernmost point, called the Indira Point, is a mere 90 nautical miles from Indonesia. These islands dominate the Bay of Bengal and the Six Degree and Ten Degree channels which more than 60,000 commercial vessels traverse each year. 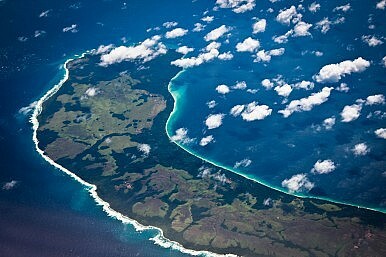 Among the nine major bottlenecks that control entry to this region are the Malacca Strait and the Six Degree Channel. The Andaman and Nicobar Islands lie in this strategically important zone, meaning that India with its growing naval capabilities could play a significant role in controlling access. India’s Navy chief, Admiral R K Dhowan recently acknowledged that the Andaman and Nicobar Islands are a “very very important aspect” of India’s security, acting as extended arms of the country. Dhowan said that India needed to deploy naval assets to the islands for surveillance in important sea lines of communication. Yet over the past 15 years successive governments have been slow to act, even after having declared their intention of beefing up the security infrastructure on the islands. A unified land, sea and air command was created more than a decade ago, but the command still faces turf wars, funding issues, and glacial decision making. In the meantime, other countries – notably China – have expanded their presence in the region. Naval vessels camouflaged as fishing boats have been sighted, while other ships make port visits to Sri Lanka and Pakistan. Could such an attack have occurred without the Pakistan military's approval? Do you believe the Pakistan army no longer controls terror groups like the Lashkar-e-Tayiba and Jaish-e-Mohammed, and these groups have become independent, sort of like the Tehreek-e-Taliban Pakistan? The Pakistani intelligence service, the ISI, almost certainly knew an operation was coming. The ISI closely monitors JeM and LeT. They control their leadership and facilities, and have agents inside these and similar groups. They are not independent actors. Recent media reports suggest that the three service chiefs have together written a letter to the defence minister protesting the recommendations of the Seventh Pay Commission, and seeking its review insofar as the armed forces are concerned, by a suitable committee with representation from the military. At the same time, while addressing the annual Commanders Conference of the three services on board the aircraft carrier INS Vikramaditya, Prime Minister Narendra Modi said everything would be done to ensure that the fighting efficiency of the armed forces remained high. There is some mismatch in these two seemingly separate but related developments. While many of the issues of concern to the armed forces will, hopefully, be set right, what is disconcerting is the underlying theme which, through pay structures, downgrades the stature of the military institution. This is a potentially damaging scenario which needs discussion, as the morale of fighting men and the equipment they fight with are not different things, but two sides of the same coin. The real problem is not the recommendations of any Pay Commission or the ongoing agitation by armed forces veterans, but the approach that is increasingly being adopted by the country towards the one institution which stands by the homeland in weather both fair and foul. In terms of recognition of the armed forces as an institution, governments of all hues, past and present, have had an approach which borders on schizophrenia. There is high rhetoric on the regard in which the military is held by everyone; yet, no effort is spared to denigrate its leadership or to downgrade its stature. In the early 1960s, when the Army Chief protested and then resigned over the promotion of a clearly unsuitable senior officer, Prime Minister Nehru first assured General Thimayya that he would get the issue resolved and, on the very next day, castigated the chief in quite derogatory language in the Lok Sabha. The person in question was elevated and a year later, led his troops to a demoralised retreat from the battlefield which was even more traumatic than the defeat itself. 'India has already suffered in the raid of January 2, and taken punishment. If comparable or higher retribution does not visit Pakistan, there is no reason why it should not undertake such a misadventure again,' says Lieutenant General Ashok Joshi (retd). 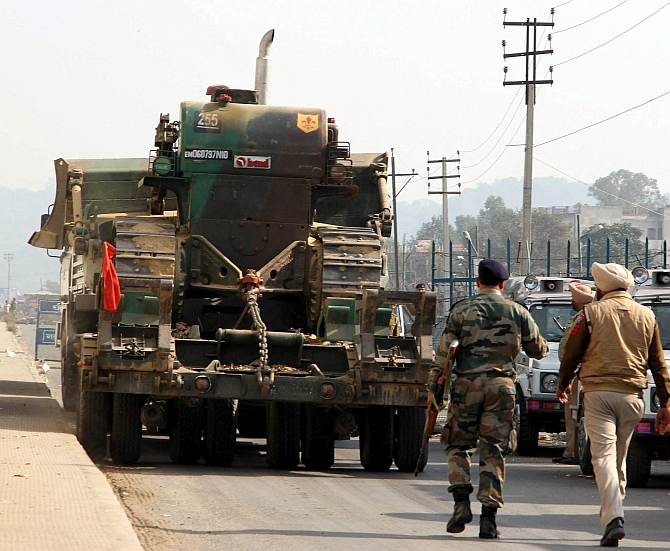 The raid on the Indian Air Force base at Pathankot that began on the 2nd January has continued. The worst seems to have been averted by the ongoing heroic actions of our armed forces, all of whom have promptly answered the call of duty. Some of them have paid the ultimate price. Details are pouring in: The origin of the terrorists, their organisation and preparations, and their commitment to their cause -- militant Islam. Coming in the wake of Prime Minister Narendra Modi's internationally acclaimed surprise visit to Pakistan on Christmas day, the raid from Pakistan was not totally unexpected. Of course, what else does one expect from the extremist radicals in Pakistan? They are certainly bent on ensuring Pakistan's confrontation with India, and detest the lowering of tension between the two countries. The rabid terrorists who are carrying out the raid have put on display their place of origin and the organization that they represent, namely Jaish-e-Mohammed. This is a subterfuge invented by their launchers in Pakistan for the benefit of the credulous in and outside India. It makes it convenient for the Pakistan government to deny its accountability. As far as we in India are concerned, it is a Pakistan raid, it does not greatly matter to us if it is carried out by Jaish, or by Pakistan special forces. Deniability by Pakistan suits the US too, although the US could not have known of the raid before it was launched. Tepid tea in a white mug brings temporary relief to Captain Ram Pratap's scraggy, frozen face as he squats on a bunker top on a 17,000ft. picket overlooking the LoC. There's a shortage of nearly 12,000 army officers, and not surprisingly – given his battalion's deployment on the active border – his and many of his platoon boys' leaves were cancelled. Hopefully the old warhorse of a helicopter, Cheetah, will continue belying his service age of over 40 years and drop some 'fresh greens' to usher in much-needed cheer to these hardy men from the Thar desert, sick of canned food. Why complain about the flying bird, he thinks. Even the weaponry and equipment can do with upgrading – there's only so much spit-polish and old-fashioned scrubbing one can do to retain the glint on the bayonet. He wonders if the civilian babus around Rajpath really understand the conditions in which the fauj operates, yet get to decide everything for them. With snow covering the passes, they had hoped cross border infiltrations would cease, but no such luck. Down in the valley, Colonel MN Rai had been shot dead leading an attack on terrorists. Thank god for such heroes, he thought. Word had spread in the paltan, and they all felt honoured to be part of an outfit where officers still led from the front. Later, Colonel Mahadik, the spirited Maratha, had put himself in the line of fire. Despite all organisational cribs, it was stories like these that kept the olive-green chins up. All the thundering braggadocio by pot-bellied politicians about bringing enemies to their knees hadn't helped on these pickets; infiltrations by terrorists and 'friendly cover-fire' by enemies still continued. Then suddenly, the mind raced to the super-awesome, real-time action in Myanmar, where they were sent to settle some scores by his Para Commando buddy, Captain Shyam, the 'devil's-very-own', and his band of toughies who had inadvertently helped further inflate the chests of the kurta-pajama folks in Lutyens' Delhi. 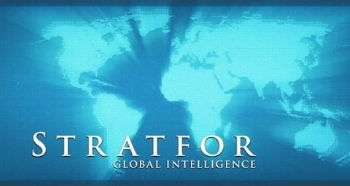 While the unfolding Syrian crisis is expected to dominate the foreign policy debates in Washington and throughout the various European capitals, NATO must continue to prioritize its presence in Afghanistan in order to help protect the fragile gains achieved over the past decade by keeping a robust troop contingency beyond 2016. As part of a diplomatic strategy to strengthen the Afghan government, President Ghani received significant regional support for his quest to advance the country’s embattled peace process with the Taliban at the newly completed Heart of Asia conference in Islamabad, Pakistan. While the country’s fragile peace process is receiving support from China, India and Pakistan, a long-term NATO military presence is required to help bring the Taliban to the negotiation table. If anything can be learned from the U.S. military withdrawal from Iraq, it is that a persistent military presence is far cheaper and a more effective strategy to help build a fragile state from the ground and up while preventing insurgents from changing the facts on the ground. Amid renewed calls for a more robust U.S. strategy to defeat the Islamic State group in the aftermath of the recent terrorist attacks in San Bernardino and Paris, the Afghan war is moving into its fifteenth year without any end in sight. While President Obama warned against being “drawn once more into a long and costly ground war in Iraq or Syria,”(1) only weeks prior to Sunday’s prime-time address to the nation, he quietly agreed to extend the U.S. troop presence in Afghanistan despite initially having pledged to withdraw all but a small U.S. force before leaving office in January 2017. As Abbas has grown more and more closed off, however, Fayyad’s relationship with Hamas has improved. Fayyad fell out with Abbas in 2013 over Abbas’ controversial campaign to seek recognition for Palestine at the United Nations. According to reports, Fayyad’s disagreement with the campaign, which he saw as a diplomatic distraction that would only threaten donor aid to the PA, was so vehement that he broke his hand during a meeting after slamming a table in protest. When Abbas finally forced Fayyad out of the PA in 2013, many Palestine watchers thought Fayyad’s political career was over. But he soon launched a grass-roots-focused NGO in the West Bank, began funding local start-up projects, and started changing his tone on Hamas. In October 2014, he called for the creation of an umbrella political organization that would include “all PLO factions and those not affiliated with it,” a clear fig leaf to Hamas. He went further in March, when he explicitly urged that the Islamist movements be included in such a body. As Fayyad wrote, these parties would be “assured of genuine partnership in the Palestinians’ pursuit of their national aspirations. Can lessons from countries like Indonesia be applied to volatile countries in the Middle East? 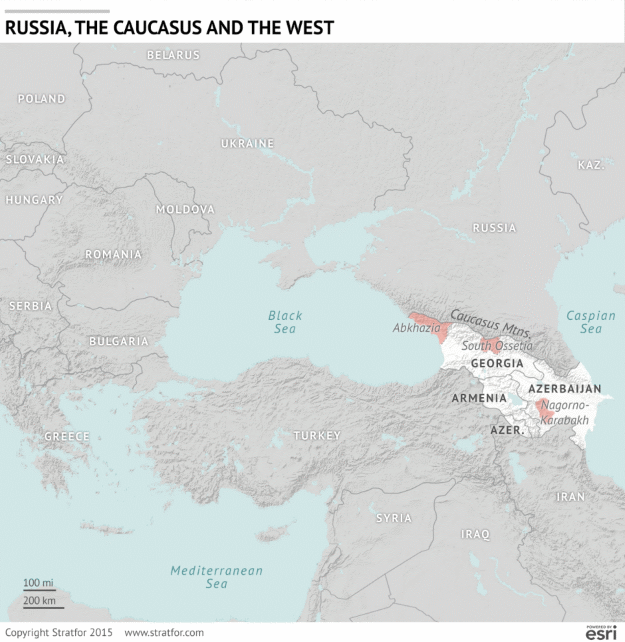 Where the boundaries of Europe and Asia meet, a relatively new arena has emerged in the competition between Russia and the West: the Caucasus. The region, which comprises Georgia, Azerbaijan and Armenia, rests outside mainland Europe and is surrounded by regional powers. A wave of separatist movements since the fall of the Soviet Union has played an influential role in how the Caucasus countries view Russia, which has consistently lent its support to disputed territories. In the coming decades, the Caucasus will continue to be an important battleground for Russia and the West as other regional powers like Turkey and Iran are drawn into the competition for influence. And as Georgia, Armenia and Azerbaijan align more closely with their chosen sides, all signs point to a Western-backed alliance gaining ground. The Russian Orthodox Church sees itself as the spiritual generator of public policy and the ideological bulwark of the state. Under Putin, priests have become fixtures in the military, schools, and other public institutions. Moscow — Baikonur Cosmodrome may lie in Kazakhstan, but it is an iconic symbol of modern Russia: the coming together of cutting-edge science and Space Age power. But just before the mid-December blastoff of the latest Soyuz mission to the International Space Station, the countdown procedure was halted to allow a robed and bearded Russian Orthodox priest a few minutes to shuffle around the mighty rocket, sprinkling holy water on its fuselage, murmuring snatches of biblical verse, and calling upon God to keep it safe. He also blessed each of the three astronauts – American, Russian, and British – about to make the journey. Such is the new normal in today’s Russia. The 1993 Constitution strictly defines Russia as a secular state, in which no religion is the official or obligatory one. But many people in post-Soviet Russia yearn for ideological certainties to fill the void left by communism. And with the ascent of Vladimir Putin and Russia’s new order, the Russian Orthodox Church, an ancient institution that was nearly annihilated during seven decades of Soviet rule, is returning to a highly visible and central role in the life of the country. Furthermore, the line between sacred and secular appears increasingly blurred in Russia. Unlike in the West, where religion and politics occupy separate spheres, the Orthodox Church sees itself as the spiritual generator of public policy and the ideological bulwark of the state. Priests have become regular fixtures in the Army, schools, hospitals, and other public institutions. When President Putin gave his recent state-of-the-nation address to parliament, Patriarch Kirill – the Orthodox equivalent of the pope – was seated prominently among top government officials in the audience. That has prompted leaders to supplement their dubious democratic legitimacy with backing from the church that’s been a key pillar of Russian statehood for 1,000 years. “The main idea our temporal authorities are offering these days is a return to Russian ‘great power’ status,” says Nikolai Svanidze, a historian and leading TV personality. “What the church brings to that is historical depth, clear philosophical outlook, and cultural traditions that most Russians relate to. About 70 percent of Russians identify themselves as “Orthodox” – though only a small fraction go to church regularly – and polls show the church is one of the most highly respected institutions in the country. Cyber-warfare is not replacing conventional warfare, but becoming an integral part of the military toolbox to be used in hybrid-warfare, but - so far, more for disruption than destruction, as Jarno Limnéll explains. Cyber-warfare is a hot topic. The evolution of warfare both follows and contributes to the evolution of society and therefore cyber-warfare should be understood as something innate in our contemporary cyber-dependent societal practices. The problem for analysis is that precedents of cyber-warfare are few. At the same time nation-states are developing more sophisticated cyber-capabilities while the cyber and physical worlds are increasingly intertwining and “the playbook” on how to use cyber-operations in a war or a conflict remains vague. Many have been watching the Russo-Ukrainian war in the expectation that it would be the first real fully-fledged cyber-battlefield. Although an increase in cyber-activities has been reported throughout the war, prominent cyber-operations with destructive physical effects have not occurred. "Pure cyber-war", which would take place only in the digital environment, has not been seen in Ukraine and will hardly ever be seen anywhere either. On the other hand, it is unlikely we shall see war, crisis, or conflict without exploitation of the digital environment – cyber-instruments – as an integral part of other military activities. This is exactly what has happened in Ukraine. Cyber-operations have been one tool in the “political-military toolbox” of hybrid warfare between Ukraine and Russia. We must not turn a blind eye to this development. Ukraine offers a glimpse into the type of hybrid warfare that we in the West are preparing for: battles in which traditional land forces dovetail with cyber-attackers to degrade and defeat an enemy. It also illustrates the difficulties that nations face in identifying and defending against cyber-attackers. Cyber-operations are well suited to the political-military hybrid environment in Ukraine. With hybrid warfare, we are facing a substantial change in military operations and in our perceptions of war. The boundary between actual military warfare and other methods of exercising power is becoming blurred, and the capabilities of cyber-warfare are becoming increasingly important. It is now possible to fight a war without actually being at war and cyber is a key element in this development. 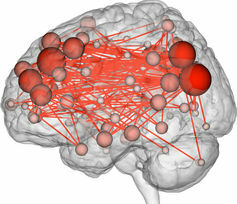 In addition the distinction between legitimate and illegal activity is becoming increasingly blurred. It should be also taken into account that wired citizens can be affected by cyber-attacks just as much as network defenders and national security decision-makers. The Russian government is considered to be one of the most advanced cyber actors globally, with highly sophisticated cyber capabilities on par with the other major cyber powers. Open source information about Russian cyber programs and funding is scarce, but an ultimate goal of the government is to gain information superiority, both in peacetime and in military conflicts. According to U.S. intelligence, Russia is a top nation state threat to American interests. Russian armed forces have been establishing a cyber command and a specialized branch to carry out computer network operations. It is likely that Russia aspires to integrate cyber into all military services. For example, the Russian government news agency TASS has reported that strategic missile forces are establishing special cyber units, and according to Russian general Yuri Kuznetsov, cyber defense units in the Russian armed forces will acquire operational capabilities by 2017. Researchers from China have observed that Russian armed forces have rehearsed both attacking an adversary’s cyber targets and defending themselves against cyber attacks. It is believed that Russia, in addition to its espionage over the last decade against Western governments, is conducting its own active research and development of cyber weapons. It has also been alleged that FSB develops sophisticated computer malware programs. Despite a ceasefire signed in February that was supposed to have been completely implemented by the start of 2016, the prospect of peace in Ukraine remains elusive. The war in the country’s east between government troops and Russian-backed separatists — periodic lulls in the fighting notwithstanding — has remained largely unchanged since earlier this year. On Wednesday, the leaders of Germany, France, Russia and Ukraine agreed to extend the current ceasefire — known as the Minsk Agreements — into 2016, according to a statement released by the French government. The first Minsk peace deal, signed in September 2014 collapsed almost immediately. The second, implemented in February, has dampened some of the fighting and allowed the implementation of some parts of the ceasefire. The four leaders also discussed upcoming local elections in Donetsk and Luhansk, the two regions of eastern Ukraine that broke away from the country following protests in the spring of 2014. The local elections hope to normalize relations between the restive east and the government in Kiev. The multinational watchdog group, the Organization for Security Co-operation in Europe has been largely responsible for monitoring both sides of the conflict since the signing of the last Minsk agreement. On Thursday the OSCE’s chief monitor for its mission to Ukraine, Ambassador Ertugrul Apakan, expressed hope for peace, but reiterated that a true ceasefire is a way off. The legacy of the Cold War has left many enduring images in the minds of most Americans, images that are usually associated with Russia and its nuclear arsenal. But a key threat, from what many believe is the new Cold War, could very well be from Russian hackers. When listing countries with the most sophisticated and mature cyber-capabilities, Russia is usually right after the United States and right before China Russia has not been involved in many high profile, OPM-style cyber attacks, ones that are usually linked to China or Iran, but Russia has earned its place as one of the most effective cyber-entities in the world. Russian hackers made headlines in 2015 by reportedly breaching unclassified systems at both the State Department and the White House. Russia is also consolidating control over its cyber-forces through an organization similar to the U.S. Cyber Command, an indication that perfecting command and control over cyber-operations has become a Russian priority. The 2015 Worldwide Threat Assessment of the U.S. Intelligence Community concluded that Russia is a greater threat than China in the cyber-domain, and there are indications that Russia is gaining the ability to remotely access industrial control systems. Given those systems are an integral part of American critical infrastructure, that ability represents a significant and growing threat. Arguably the most worrying aspect of the Russian cyber-buildup is their willingness to use cyber attacks to support conventional military operations. This type of joint attack, called “hybrid warfare,” was used to great effect in Ukraine. Hybrid warfare refers to military operations that blend cyber-operations and propaganda with the use of conventional military forces. Thus far, Russia is the only nation to have successfully mixed cyber and conventional forces in this way. There are a number of definitions of science, as both a process and a body of knowledge. At root, it's an effort to understand the world around us via observation and experimentation. When you think about it, that's an awful lot for one desk at The Conversation to cover - here's a roundup of some of the stories we chose to focus on during 2015. The quest for reproducible scientific truth continues... and we covered hundreds of cool stories that drive the point home. Shall we start with a visual? 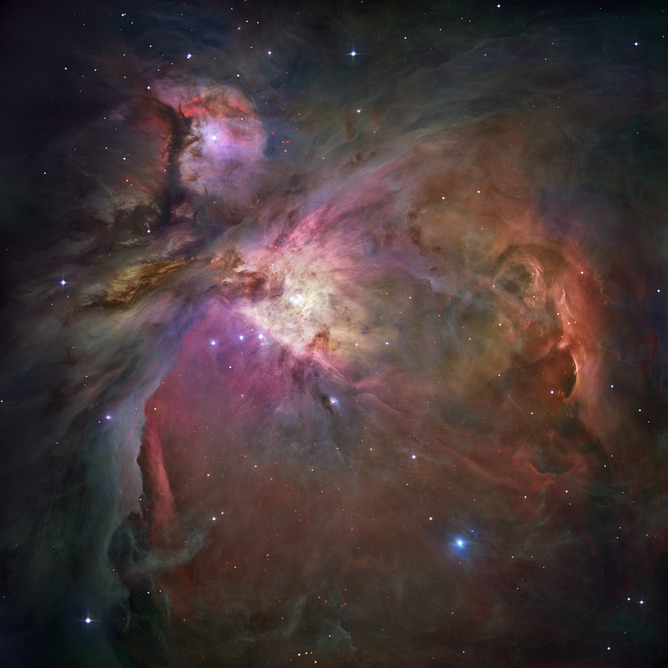 Eighteen astronomers from around the world chose their favorite images taken by Hubble Space Telescope in honor of the 25th anniversary of its beaming awesome images back to us here on Earth. In other space news, we tracked NASA's New Horizons spacecraft on its Pluto fly-by. And just this month we got our closest up views of another dwarf planet, Ceres, courtesy of NASA's Dawn probe. Lawmakers pushing for global cyberspace norms have scored an early win. The major cybersecurity bill that President Obama signed into law two weeks ago includes a clause requiring the State Department to publicly produce an international cyberspace policy within 90 days. The edict is the product of months of cajoling from cyber-focused lawmakers on Capitol Hill, who regularly have warned that the lack of global cyberspace rules poses serious dangers. ADVERTISEMENT“Quite frankly there are no rules of the game right now and that’s part of the problem,” said House Homeland Security Committee Chairman Michael McCaul (R-Texas), who sponsored a standalone bill mirroring the cyber bill’s clause. Himes is the ranking member of the House Subcommittee on the National Security Agency (NSA). He recently sent a letter to the State Department with his subcommittee's chair, Rep. Lynn Westmoreland (R-Ga.), urging action on the issue. But these lawmakers acknowledge it’s just the first step toward the ultimate goal: a Geneva Convention for cyberspace.